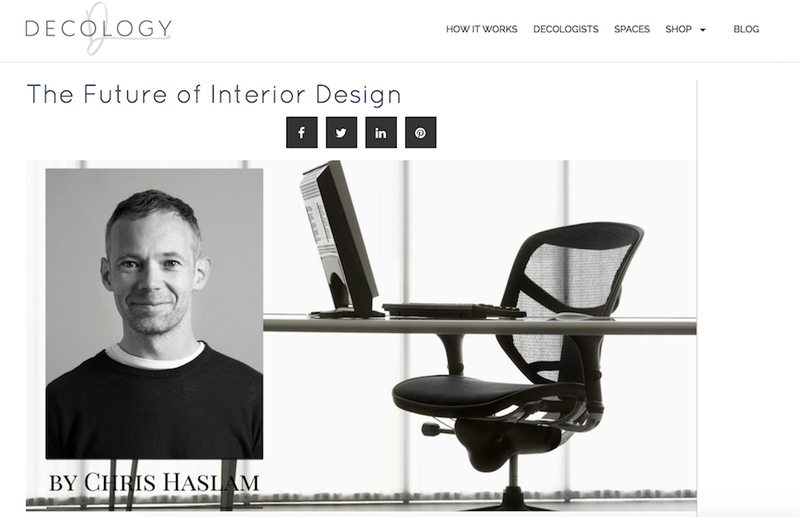 The lovely people at new online interior design service Decology asked if I'd like to talk about how tech is influencing interior design. I said yes, read all about it here. New profile pic courtesy of the very talented Diana Stainton and a glimpse at my new, super exciting project Brogue.